CAN YOU DO SOMETHING ABOUT MY EYES, DOC? We just spent 38 hours without power. Not so bad, you say? I have a brand new release and couldn't publicize it. Yes, the publisher does more than most, but these days, if you don't promote, you don't sell. Ahem. This will be a short post since I had so little time to get going on it, because, well, we had no power. So here's my new release to the right. Kudos to Livia Reasoner who designed the cover. 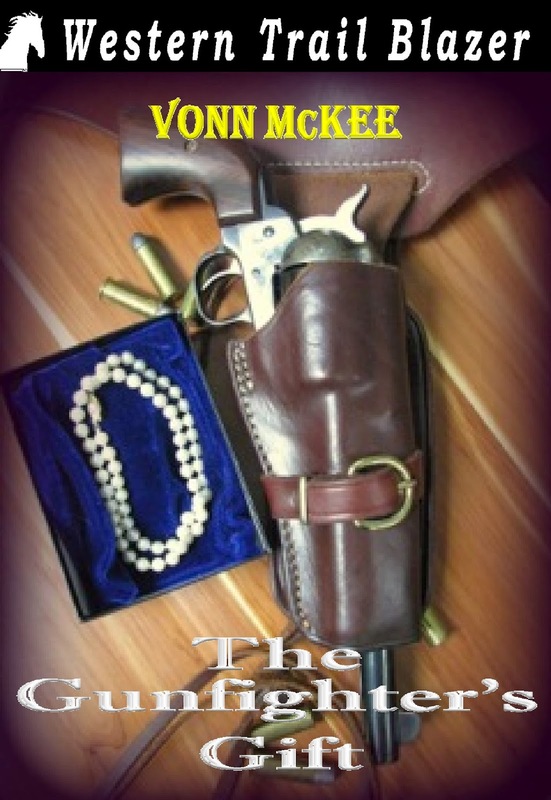 It's a fun western romance with attack goats and a killer chicken named Jethro. About that power outage... Three adults and four boys live in this house. The four boys were utterly lost—no Xbox, no Kindle, no computer. So no video games. They had no idea how to entertain themselves but quickly devised a game where they played characters of their favorite video games. Before that happened, though, they wanted to know what we did when we were kids. No one made up our worlds for us. Yes, sometimes we played in Marshal Dillon’s world, or Paladin’s world, or Samantha Stevens’ world, but mostly we made up our own. Someone would be the hero, someone the villain, and then there was the damsel in distress. We all hated being the damsel so usually the smallest kid (boy or girl) got stuck with that. 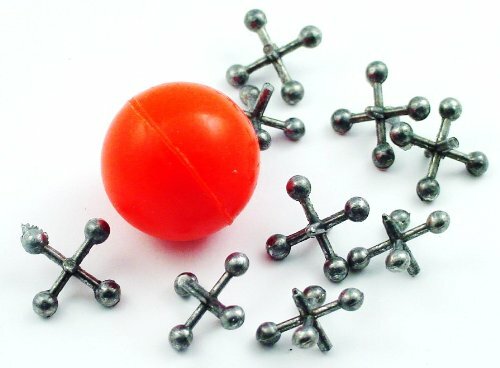 We rode our horses everywhere, and when not horseback, we played with marbles, jacks, tops, and hula hoops. Could you ever get going with the paddle that had the string and ball attached? My dad was pretty good but I never did get the hang of it. The lucky kids had Lincoln Logs (made of actual wood) and Tinkertoys. On hot summer days, we made cucumber boats and raced them in the stock tank. We caught frogs and horny toads, and we looked for gold. We hunted pheasant and duck. Not quail, though—Mom wouldn’t have it. During the winter, we read books, whittled, and gathered fodder for more fun games in the summer. I have to say, I feel sorry that our four boys have no interest in any of the above—they do love their video games. What's with western movies where the dog ends up a victim? 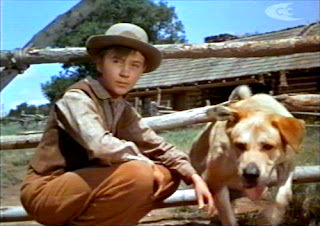 At an early age, I cried buckets when a Civil War family rescued Old Yeller (in the movie by the same name) but had to put him down after the dog fought a rabid wolf and contracted the disease. AUUUGH! At least Old Yeller is a hero, having saved the family. Yes, it's part of the "rite of passage" for the young kid - learning to face life and death. But... it still stinks like old dog breath. By the way, Spike - the dog who played Old Yeller in the movie - was purchased as a pup from the Van Nuys Animal Shelter in California by trainers Frank and Ruddy Weatherwax of Lassie fame. And he starred in other movies as well. Good old Spike! Good dog. 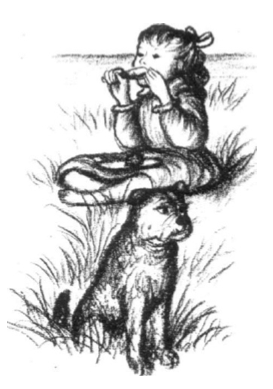 I didn't even like when Jack the brindle in the Laura Ingalls Wilder Little House books died - but that was a natural death from old age. When it comes to violence toward animals, though - we've seen the "no horses were harmed in the making of the film" - but what about the dogs? Isn't it bad enough that westerns have so many gunfights? Native Americans and Chinese are mistreated, women are ordered around, expected to rustle up the grub, are slapped, spanked, beaten up, you name it. 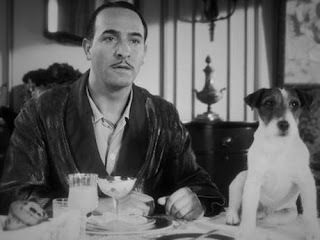 Yes, I suppose that reflects what Hollywood believes "the way things were" back then - but why kill the DOG? I mean, LOOK AT THOSE PRECIOUS FACES!! So in that vein, as a treat (pun intended), here are a few western films where the dogs are victims - some heroic, others tragic. I have never seen a good reason for the plot to include pooch target practice. I rescue dogs and cats in my books and they always have a Happily Ever After. No apologies, either. 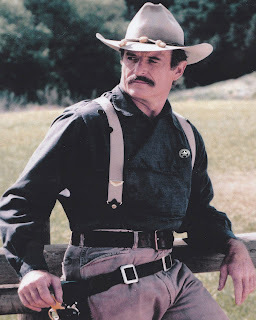 In the way the Duke might say, "You can call me a PETA lover, you can call me a big baby, you can call me a wimp - but you don't EVER call me a dog killer!" 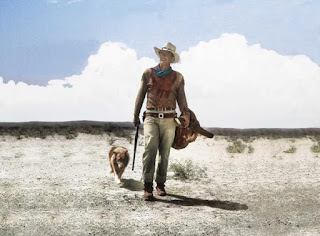 BIG JAKE - Jacob McCandle's heroic friend (and secret weapon) Dog, who is a hero throughout the movie for keeping the bad guys at bay, is shot and then killed (with a machete!! AUUGH) in the final gunfight. I didn't cry, but I kept yelling, "Don't kill Dog! Don't you kill Dog!" Man, that villain didn't listen. I'm glad he got it in the end. He deserves to rot in hell. By the way, two collies named Silver and Laddie (Lassie, Jr.) played Dog (trained by Bob and Ruddy Weatherwax, in fact) and their coats were darkened by an aerosol product. And Laddie won a 1971 PATSY award for his performance. So there. Good dog! 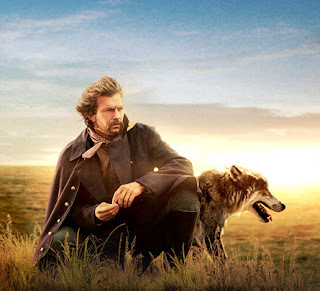 DANCES WITH WOLVES - While "Two Socks" is actually a wolf, Dunbar played by Kevin Costner has a strong bond with him like man/dog. I loathed the way soldiers kill poor Two Socks. Tragic and senseless! Yes, I suppose it furthered the story, but it was like killing Harry Potter's owl. NO! I was so mad. Good thing it came at the end of the movie, or I would have hated Kevin Costner and his movie - Oscar winner or not. OPEN RANGE - I have this DVD. I have not watched it, mostly because Boss and Charlie's dog Tig is shot and killed by the villain (okay, yes, so is Mose the cook, and the poor boy is nearly dead) when their campsite is raided. Do I want to subject myself to seeing this senseless act? NO! Look at that ADORABLE dog! Waaaah! One day I'll have to watch it. But I'll be gritting my teeth. 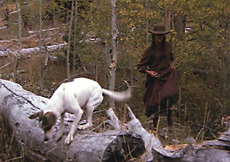 HONDO - Hondo's dog Sam dies after being speared. Another one I've never watched, because WHY? Why does the DOG have to die?? I just don't get it. Pal, the dog that played Sam, was the son of Lassie. 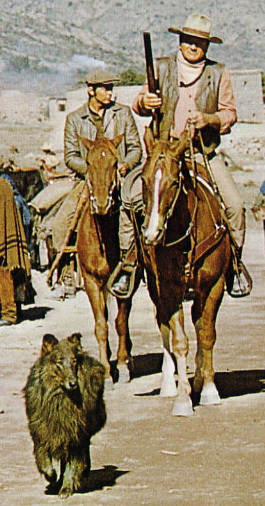 In the movie, he is supposed to be vicious and ill-tempered, but the temperatures during filming were so hot, Pal simply panted instead of snarling when on camera. In order to overcome this, the dog was kept in a special air-conditioned crate while on set and was only brought out for his shots. Good dog! Fight against being a bad dog, and what a shame you had to be sacrificed. Boo hisss! PALE RIDER - I have seen this one. I was so mad when Megan's dog got shot. That poor thing was used as a device to get her to pray for a miracle - and then Preacher (Clint Eastwood) shows up. Nothing else can be found about this poor dog. Perhaps Clint didn't want to share the limelight? Double boo hiss. THE ARTIST - Since the story about the transition from silent films to "talkies" takes place in Hollywood, I'm considering it a "western." 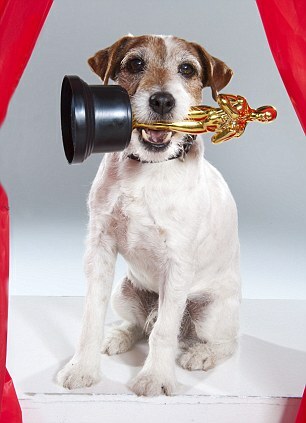 And the sweet Jack Russell terrier is also a hero, saving the life of George Valentin from a disastrous fire. Also, the dog LIVES!! Hooray! So there, Hollywood. It can be done. Uggie had been rescued from being sent to a shelter by Omar Von Muller, an animal trainer, and found fame in Water For Elephants before The Artist. Uggie did not qualify for an Oscar, however, since a precedent was set in 1929 when Rin Tin Tin actually received more votes for Best Actor - but the Oscar went to Emil Jannings that year. Hmph. Uggie recently crossed the Rainbow Bridge (this month) at 13 years old. Such a great dog! Kudos to all the dogs in these films! They all deserve a "Pawscar" for their efforts. Good dogs! Give 'em a box of treats each. 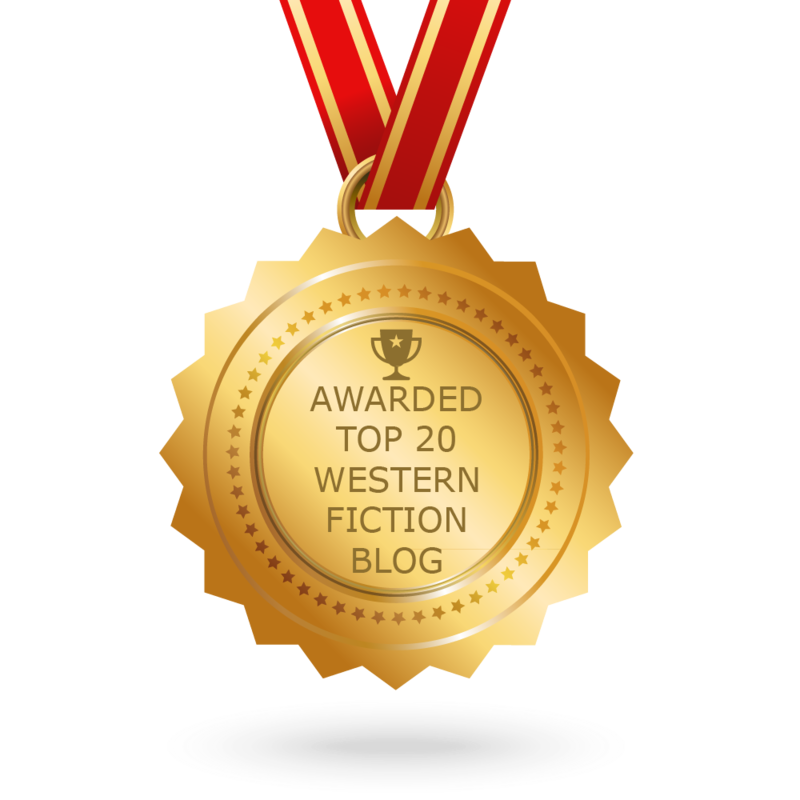 Mystery author Meg Mims earned a Spur Award from WWA and also a Laramie award for her western historical mystery series, Double Crossing (still 99c!) and Double or Nothing. Meg -- also one-half of the writing team of D.E. Ireland for Agatha-Award nominated mystery series featuring Eliza Doolittle & Henry Higgins for Minotaur books -- lives in Southeastern Michigan with her husband and a sweet Malti-poo. 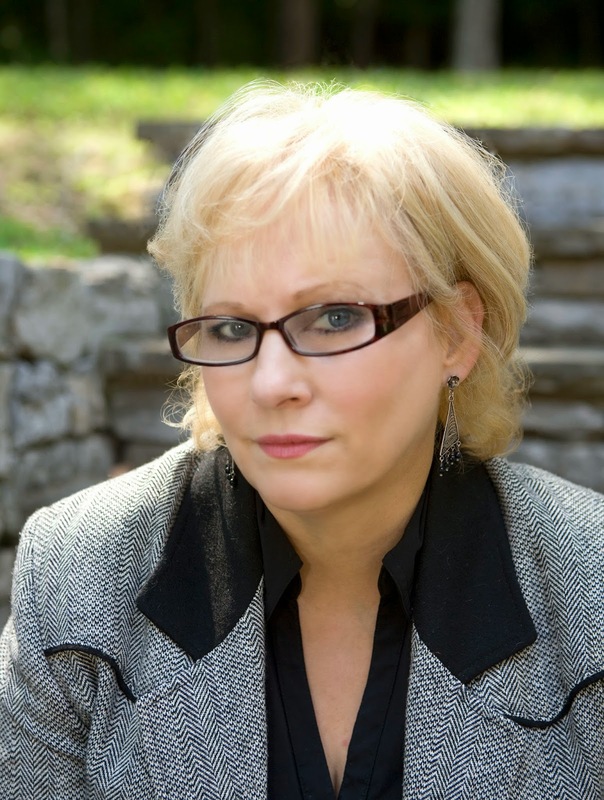 She loves reading and writing novels, novellas and short stories, both contemporary and historical. It was not like that in the days of the Old West. There were few options and the discipline of ophthalmology was only just beginning. This month I'm going to have a look at the history of the subject. In 2250 BC, King Hammurabi, the ruler of Babylon-Assyria had a code of laws set out. 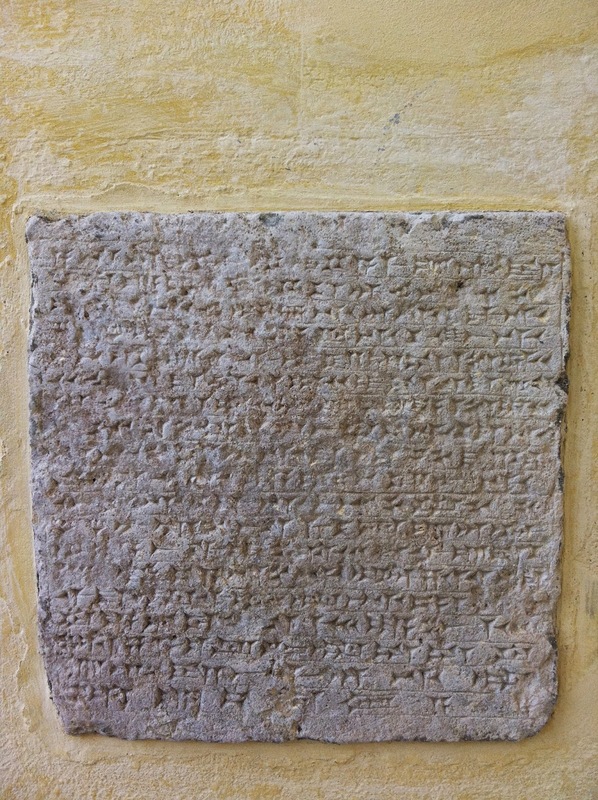 These were written in cuneiform on huge stelae and clay tablets, many of which have survived to this day. The code of Hammurabi contained 282 laws with rewards and punishments. Several of these related to doctors and their treatments of the eye. Law 196: If a man destroy the eye of another man, they shall destroy his eye. Law 215: If a physician open an abscess in a man's eye with a bronze lancet and save that man's eye, he shall receive ten shekels of silver - if the eye is destroyed they shall cut off his fingers - if a slave's eye is destroyed he shall pay one half of the price of the slave. The ancient Egyptians had a whole system of medical specialisation. 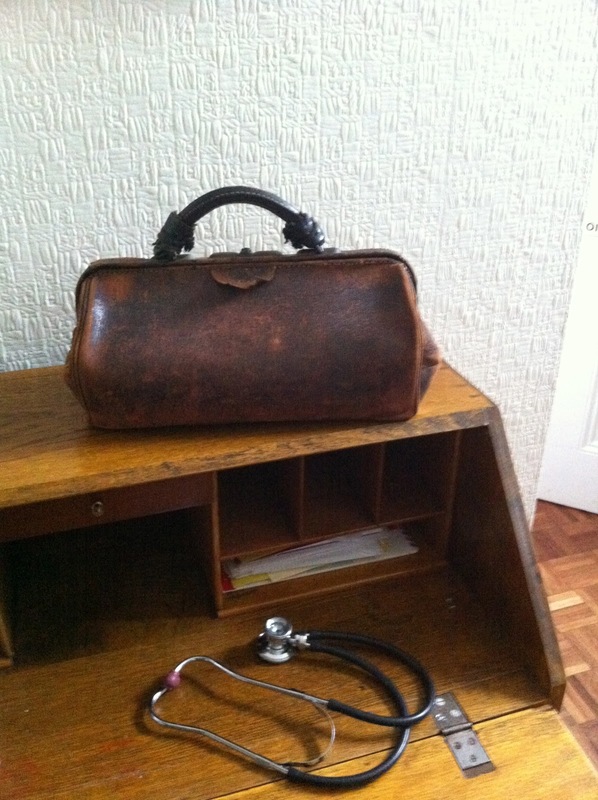 They had priest-doctors who looked after different parts of the body. Eye doctors were designated swnw irty, meaning 'the doctor of the eyes'. The Ebers papyrus, which was reputedly written by a physician called Hesy-Ra in about 1500 BC, contains 110 pages about diseases and treatments known to the Egyptians. Of these, 8 pages are about diseases and treatment of the eye. He talks about tears in the eye, pus in the eye, blood in the eye, turning of the eye and its movements (squints, paralysis or weakness of eye muscles), pain in the eye and visual disturbance and blindness. Treatments given included onions, leeks and beans, pomegranate, castor oil, copper salts, hemlock and opium. The eye as a symbol was of course very important to the Egyptians, as shown by the eye of Horus talismans that were so ubiquitous in Egyptian society. They represent the legend that the god Seth tore out the eye of the hawk-headed god Horus, only to have it magically restored. The eye of Horus, known as the wedjat, became a symbol of protection and of cure. Interestingly, the symbol used by doctors around the world for a prescription is Rx. It has always been thought that this was an abbreviation for the Latin word recipe, meaning exactly that, a recipe. An alternate theory was put forward in the British Medical Journal in 1999 by Jeff Aronson, a clinical pharmacologist, that the symbol was actually a corruption of the wedjat, the eye of Horus. If this is the case, then doctors have been using a symbol that links them directly with their ancient Egyptian counterparts. 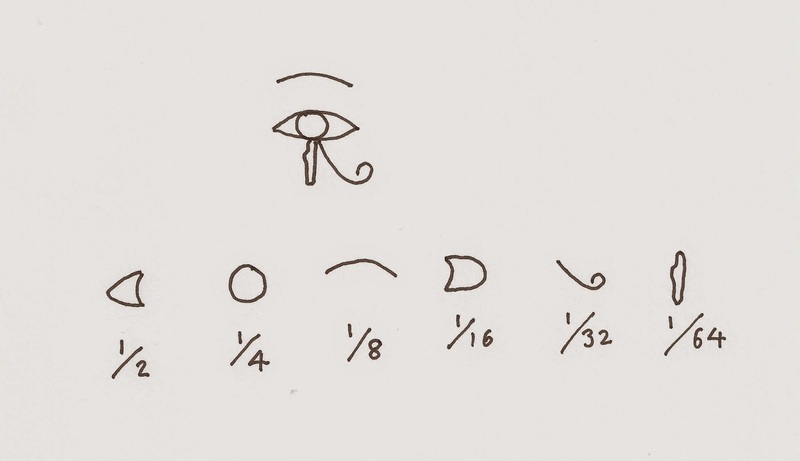 This idea is not as odd as it may seem, since Egyptian doctors did in fact use components of the eye of Horus as symbols representing fractions. Dr John Nunn, an eminent doctor who has extensively studied Egyptian medical practices discusses this in his excellent book Ancient Egyptian Medicine. Apparently, Egyptian doctors used these in their drug prescriptions to show what proportions of drug ingredients to use when making them medicines. Pliny the Elder, who died attempting a rescue operation at Pompeii in 79 AD was intrigued by the eye. He wondered why some animals had shining, brilliantly coloured eyes in the night, yet had black pupils, like humans during the day. The reason that the pupil was black merely because it was like a window of a darkened room was not discovered for many centuries. Yet once again, the Romans gave us the name for the pupil, which comes from the Latin word pupilla, meaning 'small doll'. The reason for this is that a small person like a doll (a reflection) is seen in the pupil of the person. Pliny also recorded that henbane could be used to dilate the pupil for the removal of cataracts by couching. Eye injuries were common in gladiatorial combats and several doctors studied and treated them, among them the great Galen of Pergamun (131-201 AD). He wrote about OVDO - Olympic Victor's Dark Ointment - and gave a prescription for making an ointment for treating bruises and black eyes. You will find it covered in my post Bleed, Blister, Vomit and Purge. Slavery was an integral part of Roman life and short-sightedness reduced the value of a slave. In those days before spectacles a patrician's only way of dealing with presbyopia, (age-related visual loss) was to have an educated slave read to him. Roger Bacon (1214-1292) was a Franciscan friar and scientist. In his book Opus Magnus, he discusses optics and the use that lenses could be put to. He was the first person to advocate that older people should use convex lenses to enhance their vision. Alexander de Spina, a Dominican monk is credited with taking Bacon's idea and inventing spectacles for reading in the 13th century. The city of Florence in Italy became famous for producing lenses and spectacles in the 15th century. 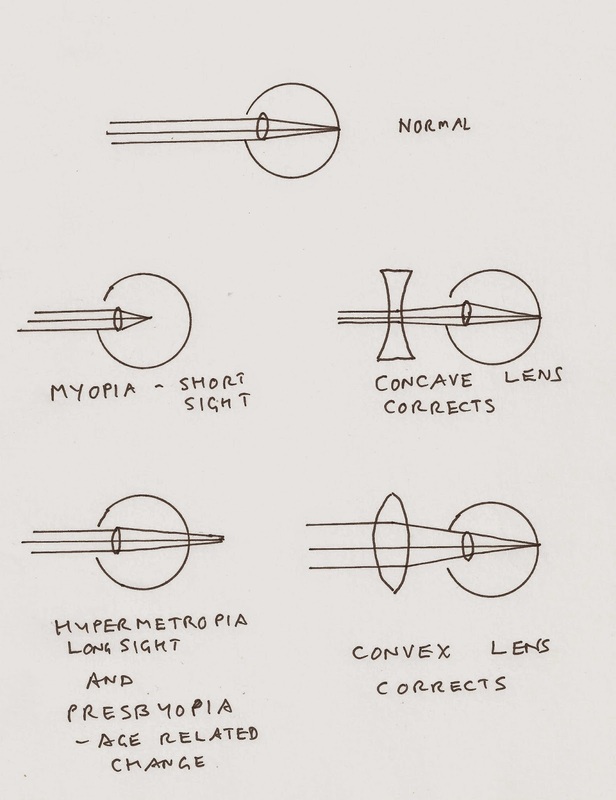 They produced convex lenses for hypermetropia or long sight, and for presbyopia the age-related deterioration in vision. They also produced concave or diverging lenses for people with myopia or short sight. Not only that, but they appreciated that vision deteriorated with age, so they produced lenses graded in progressive five year increment strengths. The Florentine lead was taken up and English spectacle-makers were producing large quantities of spectacles for myopia and presbyopia before the end of the fifteenth century. Professional guilds started to spring up. In 1535 the Nuremburg Spectacle Maker's Guild was established, effectively setting standards for the manufacture of spectacles. In 1621 King Charles I of England gave a royal charter to the Worshipful Company of Spectacle Makers. In the 1760s Benjamin Franklin invented bifocal spectacles. These had split lenses that corrected both myopia and presbyopia. In 1775 John McAllister emigrated from Scotland to Philadelphia and there opened a cane and whip-making business. It was not long before he added spectacles to his range and in 1799 opened the first optical store in the United States. 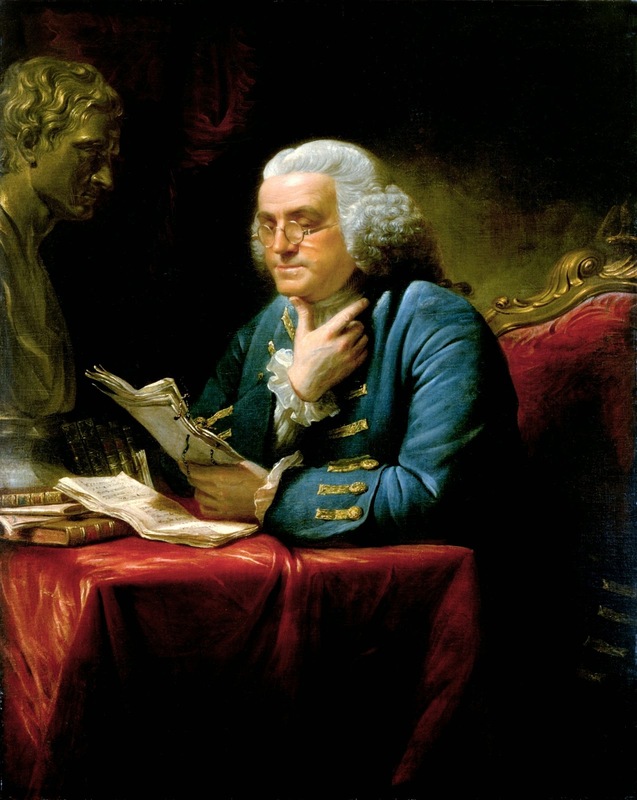 The bifocals that Benjamin Franklin had invented were especially popular. Although McAllister had imported spectacles to begin with, by 1815 he was manufacturing his own. By 1825 he had added lenses to deal with astigmatism. The next two decades saw a surge in optical stores around the whole of the United States. This is a condition in which the lens of the eye becomes opacified, so that light does not get through. Ultimately it leads to blindness in the affected eye. The name comes from the Greek kata, meaning 'down' and rrhoia, meaning 'rushes'. The ancient Indian physician Sushruta described what happens in the fifth century BC. He said that it was a problem caused by disturbance in the flow of fluids inside the eye. By contrast, according to the humoural theory it was thought to be the result of a build up of a diseased humour in the eye. Sushruta was correct. Sushruta described how to treat a cataract by couching it. This was therefore one of the earliest surgical operations. It involved making an incision in the top of the eye at the edge of the cornea and the sclera and using a blunt spatula to push the cloudy cataract to the bottom of the eye. The result would be spectacular, although the person would be left without a lens and would require a hand-held lens in order to focus. However, it would be markedly better than going blind. Couching could only be done on a lens that had turned ripe. This meant that it had to have gone through the whole pathological process and was fully hardened, so it could be displaced without fragmenting, which would be disastrous. A cataract that was ripe like that would mean that the sight had almost gone before the couching was possible. 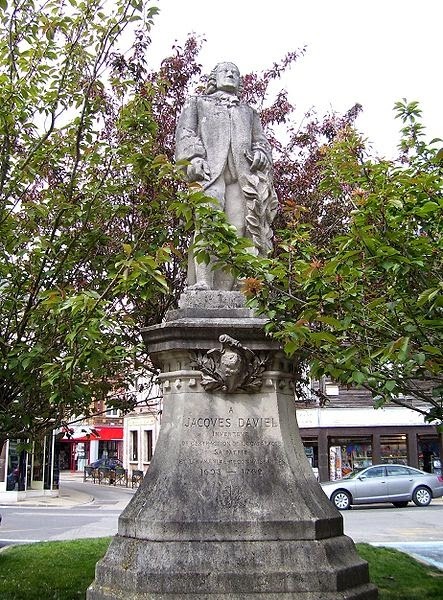 In 1748 Jacques Daviel (1696-1762) published his method for the operation of removing the lens of the eye entirely. It was the greatest advance since couching, although it took a century for it to become established practice. The operation involved making an incision that went halfway round the circumference of the cornea. The whole lens had to be removed intact, which like couching meant that the operation could only be performed once a cataract was ripe. There were no sutures available at that time so the patient had to be kept perfectly still, for at least a week, with their head immobilised by sandbags while healing took place. They were permitted only soft food for 10 days. In 1753 another French surgeon called De la Faye invented another type of operation called intra-capsular cataract surgery. This involved making a smaller incision and then opening up the capsule or sac that contains the lens. This had the advantage that a barrier was being left to prevent fragments of a ruptured lens from falling into the vitreous humour, the jelly inside the eye. The operation only became accepted and practiced at the end of the 19th century, when three British surgeons working in India used it and published their results. The lack of adequate pain relief was a problem thoughout history. People depended on alcohol intoxication, or opium. General anaesthesia with first ether and then chloroform meant that more people could be offered life-changing surgery to have their cataracts removed. Then in 1884 Carl Koeller of Vienna used cocaine with great effect. Ancient Greek doctors described a strange phenomenon in which a penetrating injury to one eye could be followed by signs of inflammation developing in the other eye, possibly leading to blindness in both eyes. In 1818 the Scottish surgeon James Wardop (1782-1860) observed that veterinary surgeons would destroy the injured eye of a horse with lime or a nail to save the good eye. In his book Essays on the Morbid Anatomy of the Human Eye he described this condition (and many others, including the important retinoblastoma, a rare malignant tumour of the retina which can occur in children) and its preventive treatment to save the good eye. He called it sympathetic ophthalmia. Sympathetic ophthalmia is a rare but awful complication of eye surgery or of injury to the eye. Effectively, an inflammatory reaction can occur in the uninjured eye, resulting in loss of vision. At the time the only other treatment was to use leeches and highly toxic mercury drugs to prevent it occurring. In Tombstone, Arizona Dr George Goodfellow and two colleagues, Drs Fender and Whitmore operated on June 3, 1892 to remove the eye of a Captain Burgess, in order to save the other eye. This sounds like a case of sympathetic ophthalmia. It is thought that Louis Braille (1809-1852) may have gone blind in both eyes from sympathetic ophthamia after a childhood accident had damaged his left eye. He invented the system of reading and writing for the blind and visually impaired. Nowadays powerful immune-suppressive drugs may be prescribed, because it is thought to be an auto-immune reaction, the body fighting against itself. In 1851 Herman von Helmholtz (1821-1894) a German physician and physicist invented one of the most useful instruments in the doctor's bag, the ophthalmoscope. With this doctors could look inside the eye to examine the lens, the vitreous humour and the retina. It opened up the subject of ophthalmology and allowed doctors to see how the eye was affected in different diseases. Another German doctor, Professor Albert von Graefe (1828-1870) used the new ophthalmoscope to build the knowledge base upon which ophthalmology is based. He devised many surgical instruments to be used and he described and developed treatments for several conditions. A commemorative West German stamp of 1970 celebrating the life of Albert von Graefe, ophthalmology pioneer. 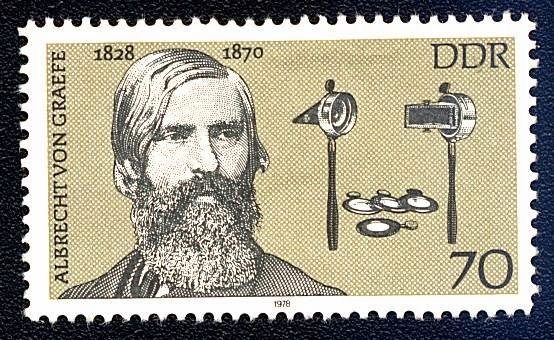 The stamp shows early ophthalmoscopes. Opthalmoscopes were used by surgeons during the Civil War and enlightened frontier doctors like Dr George Goodfellow of Tombstone and later of Tucson would use them. This is one such condition that Albert von Graefe described. It is actually the name for a group of conditions which can lead to blindness. They are due to raised pressure within the eyeball. He described the changes that occur on ophthalmoscopic examination and he was the first person to actually measure the pressure of the eyeball. This is a fundamental test that we do today. To treat it he devised an operation called iridectomy, in which a wedge of the iris can be removed. This permits the flow of and circulation of fluids within the eye to prevent a rise in pressure. Albert von Grafe also established the use of drugs, the plant alkaloids atropine, pilocarpine and eserine, which could be used as eye drops in the treatment of glaucoma. This saved the vision of thousands of people. Grit, splinters of metal or wood, anything that flies into the eye and embeds itself is regarded as a foreign body. They can nowadays be removed fairly easily after simply using some local anaesthetic and then removing them with a fine forceps or probe. In 1842 Nicholas Meyer was the first person to use a magnet to remove anion foreign body. Later, the invention of the electro-magnet allowed for controlled extraction of magnetic metal foreign bodies. In 1867 the American surgeon Henry W Williams (1821-1895) introduced eye sutures to ophthalmology. This ended the need for sandbagging to immobilise the head while eye incisions healed. He would go on to become professor of ophthalmology at Harvard University and president of the American Ophthalmological Association. The result of blunt trauma to the area around the eye, producing bruising. As with any bruise it will usually subside in 7-10 days. As it does so it goes through the various shades of the rainbow, due to the absorption of the blood and the breakdown of the haemoglobin, the iron-containing pigment in blood. First it will be red from the blood in the tissues. Then by day five it goes blue or purple. The haemoglobin in the tissues then gets broken down into biliverdin and it takes on a greenish hue, then to bilirubin on about day ten when it appears yellow, before fading completely. Cold flannel applications the sooner the better reduce the swelling. A beef steak directly applied is the traditional remedy, although it is doubtful that it would have any real value. Mayhap it was simply that it was cool and fairly malleable so would feel comfortable. It is not a treatment that would be recommended today. Tincture of arnica applied with a camel-hair brush was a standard treatment for new bruises and black eyes. Hamamelis (witch-hazel) lotion or ointment would be used after the bruise was established. One part of hamamelis tincture to six parts of water. A poultice of bryony-root could also be used. This was a favoured remedy with prize-fighters. And of course, a leech could be applied - see the post Bleed, Blister, Vomit and Purge. Inflammation affecting both eyes at the same time is a common infection. It is highly contagious, so prevention with hand-washing is advised and would have ben advised by enlightened doctors familiar with the germ theory. It would present with inflamed, red, gritty eyes and possibly with purulent discharge. Unilateral red eye is unlikely to be this simple and nowadays is regarded as an eye emergency, since it could be a type of glaucoma or uveitis. It needs emergency treatment. Now, this may surprise you, but in the 19th century the treatment was usually to give a mild aperient or purgative. The eyes were then bathed with an alum lotion. Six grains of alum were dissolved in an ounce of distilled water. A little spermaceti ointment (a type of wax found in the head cavity of the sperm whale) would be applied to the eyelid margins at night, to prevent them sticking g together. The condition would resolve in three or four days. The city of St. Louis, by American standards, has been around quite a long time. In 1764, a wandering fur trapper named Pierre Laclede stood at the foot of today’s Walnut Street and made this proclamation: “I have found a situation where I intend establishing a settlement which in the future shall become one of the finest cities in America.” He was accompanied by his stepson Auguste Chouteau, who would oversee much of the construction of the new village. 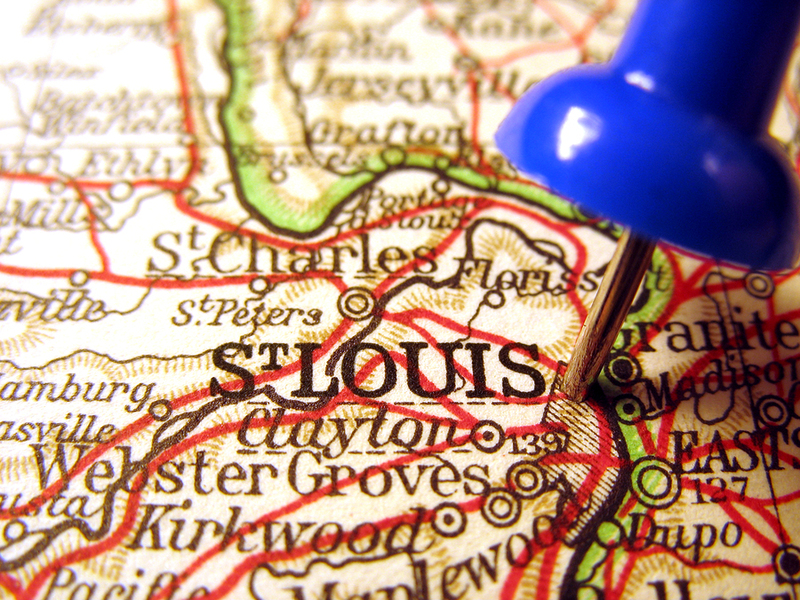 St. Louis, named for King Louis IV, technically lay within Spanish territory. It thrived as a trading post due to its location at the confluence of the Missouri and Mississippi Rivers and proximity to fur-rich lands to the west. St. Louis grew into an important outfitting post for travelers heading west. 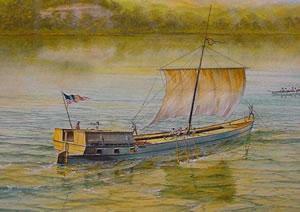 After months of preparation, the Lewis and Clark Expedition officially launched their keelboat and pirogues onto the river at nearby St. Charles in 1804. Their Corps of Discovery would return to the same riverfront two and a half years later. Two mailbags marked “The Butterfield Overland Mail Company” left St. Louis on September 16, 1858, marking the inaugural trip of BOMC’s three-year run as a postal carrier. Countless settlers streamed through the city, stuffing their wagons with supplies for a long trek to the newly opened frontier. 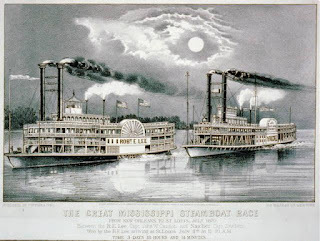 Riverboats sidled up to the docks at old Laclede’s Landing, a number of them piloted by an upriver boy named Samuel Clemens. 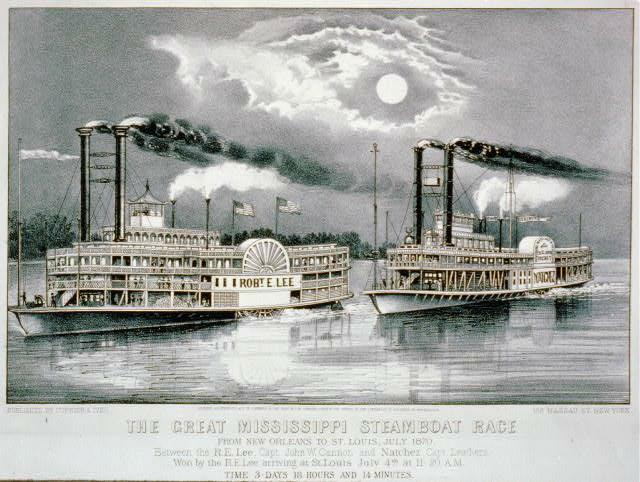 The famous 1870 race between the Robert E. Lee and the Natchez ended here on the Fourth of July, with the Lee more than six hours ahead. Two brewers named Anheuser and Busch became “buds” in 1879. Industry and railroads moved in. 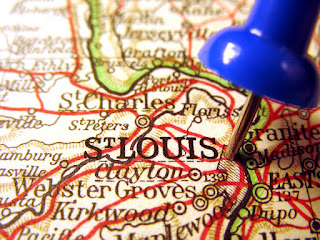 At the time of the World’s Fair in 1904, the host city of St. Louis was the fourth largest metropolis in America. If you thought that Charles Lindbergh named his plane “The Spirit of St. Louis” out of fondness for the city, you would be mistaken. That was the home base of…his investors. 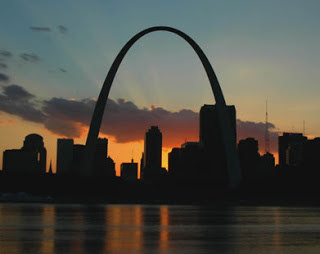 On St. Louis’s riverbank–framing the setting sun–stands its most famous modern icon, the Gateway Arch. It is the centerpiece of the Jefferson National Expansion Memorial, and was dedicated in 1968. If you’ve never visited, be sure to check out the Museum of Westward Expansion at the base of the Arch. Take the enclosed tram (unless you’re claustrophobic) to the observation deck for stunning views of the city to the west and the sprawling farmlands of Illinois to the east. Finnish architect Eero Saarinen designed the curve of the aluminum structure to resemble a length of hanging chain. I’m told that the technical term is a weighted catenary. And just where does this St. Louis timeline lead us? 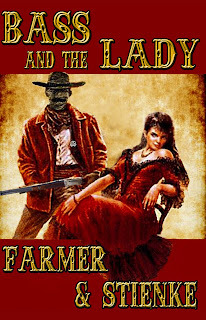 To the first annual Western Fictioneers Convention, of course! It seemed only right that we should meet in the city known as “The Gateway to the West” to celebrate the literature and history of the American Frontier. Old Pierre Laclede would be pleased to know that "one of the finest cities in America" will be hosting a talented group of writers who continue to keep the spirit of the frontier alive. The Western Fictioneers convention runs from 1:00 PM on Friday, October 30, through 11:00 AM on Sunday, November 1, 2015. Registration info can be found HERE. I mentioned in my last blog that I would talk more about dialogue and beats…well, here' tiz. I learned a long time ago in my acting career about what actors call, beats, pauses and hitches. I'm only goin to focus on beats and pauses here because I have yet to figure out how to effectively write a hitch. I suppose I'd better explain. A hitch is a very short beat, more of a quick closing of the throat between words. An example almost everyone in the world is familiar is from John Wayne. I'm not sure that it was ever intentional as was possibly just his speech pattern: "Now listen and listen tight/pilgrim." The quick closing of the throat between 'tight' and 'pilgrim' gave him that recognizable quirk in his speech. Another well-known celebrity that used it was Paul Harvey, most notably in his signature sign off for his featured The Rest of the Story: "And now you know/the rest/of the story." So, in this piece I'll just break down uses of patterns in writing dialogue. As I mentioned, in my acting career…over forty years worth…not only did I learn how to perform written dialogue so that it sounded like impromptu conversation, but also how to write it. Almost any character, unless they are reciting something from memory, such as a passage from the Bible or maybe Shakespeare or Keats, creates their dialogue on the fly. "Eryn, do you ever fight with your boyfriend?" Did you ever know there was going to be a fight over something before it happened…like say, putting the lid back down on the toilet?" "Did you ever plan what you were going to say in the forthcoming argument?" "Uh…not very well…after the first sentence." "Yep, because you can't control what he was going to say…'The best laid schemes o' mice an' men gang aft a-gley', to quote Robert Burns." I would tell my actors, "Even though you have a script provided to you…for the conversation to sound 'unscripted' and natural…you must allow the character to create the dialogue as it happens." That bears repeating, "You must allow the character(s) to create the dialogue as it happens." As it is with acting…so it is with writing. I see far too much dialogue written like a writer might write…not how people talk. A conversation between or among characters is nothing more than constant improvisation and we, as writers, even though we write down every word…it should sound like the characters are creating it at the moment…in my opinion. All conversations have natural beats, hesitations and pauses. Why? Because the characters are thinking of what they're going to say next. They are creating dialogue…and to sound natural, the writer should get the hell out of the way and let them do it. "I'm going in to town, Bill, do you need anything?" asked Barbara. "Not really, Barbara, thanks, I'm fine." I will write the dialogue, then, playing each character, do the dialogue out loud. It either sounds right or it doesn't. If it doesn't, I start removing things like pronouns and nouns and inserting ellipses. I like to insert them where a character would hesitate, much like an elongated comma or a quick thought process. I only use ellipses in dialogue and use EM dashes in exposition, but that's just me. "It doesn't matter whether I squat or stand to pee…I'm wearing a Deputy United States Marshal's badge…and that trumps just about everything else I know…So, looks like I've taken this pot." "I'd be for figuring out a way or you're going to lose your right ear…You got five seconds. Two…three…"
"Hey, what happened to one?" "Four…" Her steel-gray eyes flashed. "If you all are through getting acquainted…Bass I'm afraid I have some more bad news." The judge paused and glanced out the window, and then turned back. "Your eldest son, Bennie, caught his wife with another man last week. He shot and killed her and is now on the run." When I write, I see and hear a movie in my head and I'm the writer/director. I just write down what happens…when and where the characters pause or hesitate. I suppose it's the actor in me. Deputy US Marshal Jack McGann—accompanied by his big white wolf-dog, Son—worked his red and white Overo paint down the steep slope along the side of Turner Falls. An eight point buck was draped across the horse's rump—tied on by the long saddle strings behind the cantle—as they headed back toward the cabin. than on the sense of what just sounds right. 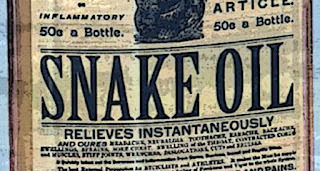 A man who dubbed himself “The Rattlesnake King” stood before a crowd in colorful western attire in the 1890s killing dozens of rattlesnakes, telling onlookers he needed the venom to process his all-purpose-cure: Clark Stanley’s Snake Oil Liniment. 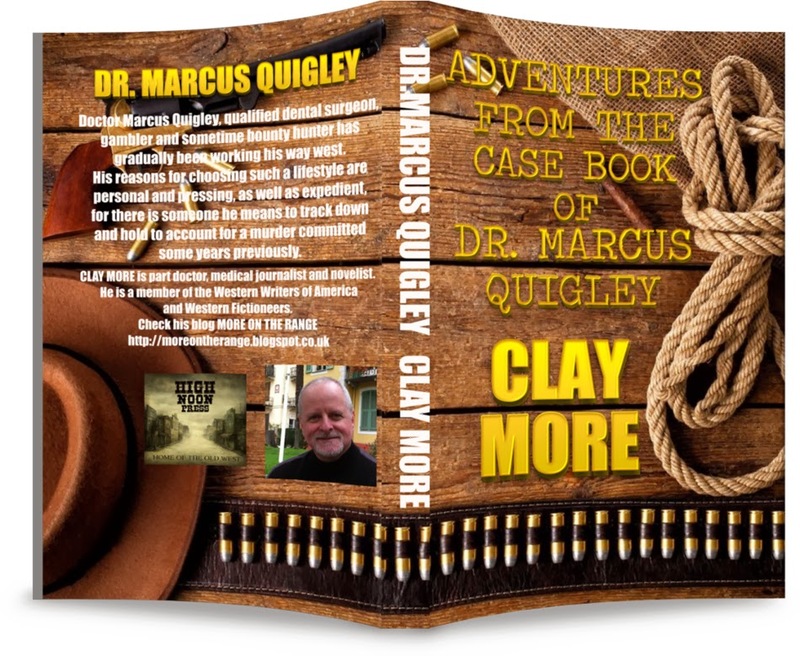 Earlier this year, I published a blog post about Clark Stanley’s exploiting the so-called curative powers of snake oil, powers he learned from a Hopi medicine man --at least according to a pamphlet he wrote. Stanley ranks among the top ten peddlers of wacky cures for a gullible public. 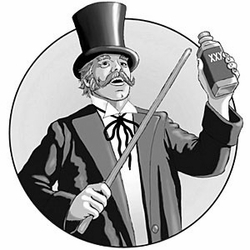 A number of American fraudsters - labeled snake oil salesmen - traveled across the frontier from town-to-town extolling the healing powers of snake oil and other elixirs. The boasted their products would ease pain from rheumatism, aching muscles, joints, inflammation, high blood pressure, cholesterol, and anything else that ails you, even deafness. Obviously, these products couldn’t possibly work as advertised—or there wouldn’t be any need for physicians (such as Western Fictioneers Vice-President Dr. Keith Souter). The sales of these magical compounds were fueled by an impressionable and unsuspecting public. In some cases, entire families got into the act. For example, Barnum & Bailey Circus promoted a sideshow called the Seven Sutherland Sisters in 1884. This act featured sisters ranging in age from 18 to 36 who sang a variety of songs. 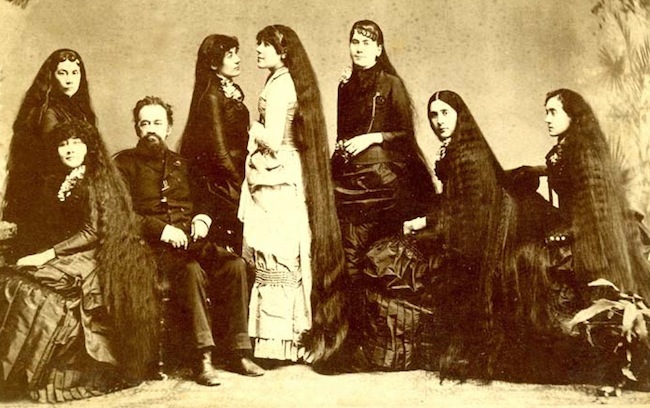 Their harmony, while good, took a back seat to their hair. At the end of their performances, the sisters would turn in unison, lettering their combined 36 and 1/2 feet of thick hair cascade down the backs of their white gowns into the orchestra pit—followed by thunderous applause. A shrewd marketing scheme aimed at promoting the line of products as a miracle cure for balding made the family millions. 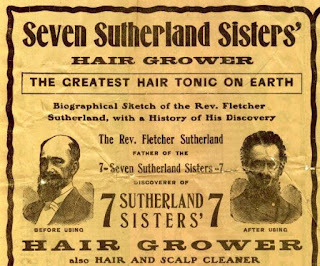 The sisters’ popularity skyrocketed to a point where they dominated the front page of newspapers—until their tragic end later in life. In 1905, Collier's magazine featured an expose of these quacks and their lucrative cures. Itinerant con men became known as snake oil salesmen. This collective term applied to any shyster who peddled miracle cures to the public. 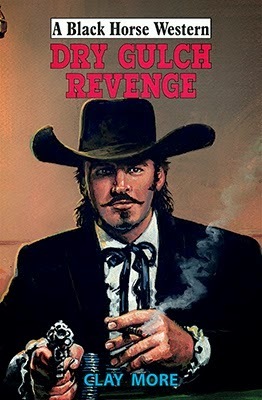 Characters of the same ilk were so fascinating, they were written into scripts for American westerns. Stephen Vincent Benet's epic 1927 poem John Brown's Body, when the poet refers to ‘Crooked creatures of a thousand dubious trades ... sellers of snake-oil balm and lucky rings.’"
Playwright Eugene O'Neill, about thirty years later, according to NPR, referred to snake oil in his 1956 play The Iceman Cometh, when a character suggested a rival was "standing on a street corner in hell right now, making suckers of the damned, telling them there's nothing like snake oil for a bad burn." In 1917, a federal government sized a shipment of Stanley’s Snake Oil Liniment and found its “pain destroying compounds” consisted mineral oil—containing about one percent of fatty oil—camphor and turpentine—probably to impart a medicinal smell—and red pepper, to make the liquid feel warm and soothing to the skin. In reality, most products didn't contain much snake oil. And, the ones that did used the wrong snake oil. 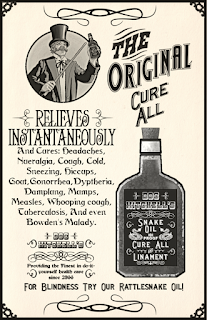 The origin of snake oil containing healing power started in the 19th century when Chinese immigrants came to this country to help build the Transcontinental Railroad. 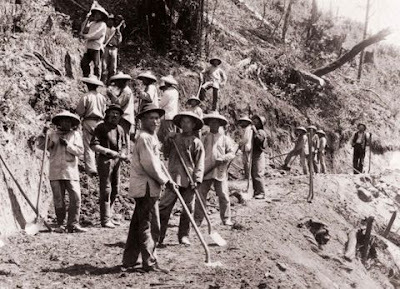 At the end of grueling days working with hammers and pickaxes, and crowbars, these immigrants would apply a liquid compound they brought with them to help sooth sore muscles and aching joints. The key component in the curative liquid was snake oil. 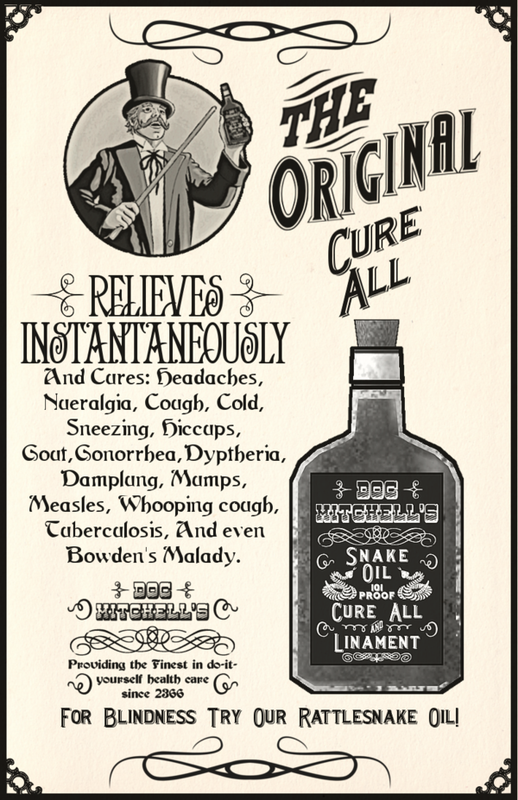 When Americans learned how well the treatment worked, snake oil began being touted as an all-purpose remedy for most of everything. Dozens of rattlesnake farms were started. 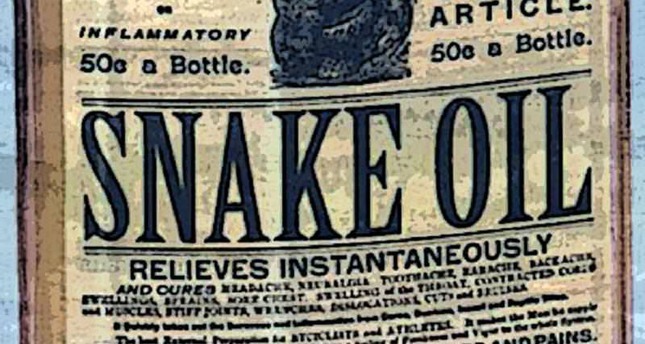 In 1885, rattlesnake oil sold for $4 an ounce. In 1891, the Wheeling (West Virginia) Register reported rattlesnakes went for $25 to $50 each—as long as they were four-feet or longer. The products that actually contained authentic rattlesnake oil (most did not) weren't as effective as Chinese workers’ oil. But there was a good reason. The problem: American snake oil salesmen did not use the right snake. The Chinese oil came from water snakes. Not rattlesnakes. Since water snakes were aquatic, they ate mostly fish, something rattlesnakes in the desert never do. Oil from Chinese water snakes proved particularly useful in fighting inflammation and other health issues because the oil was "rich in the omega-3 acids that help reduce inflammation." Public furor over useless, fraudulent, and sometimes dangerous elixirs led to passage of the Pure Food and Drugs Act in 1906. The feds flexed their regulatory muscle against Clark Stanley for violating the food and drug act. Charged with “misbranding” and “falsely and fraudulently” misrepresenting his product “as a remedy for all pain,” Stanley was fined $20 (about $429 in today’s dollars). Stanley elected not to dispute the charge and paid the pittance of the fine gladly—probably with a sigh of relief. 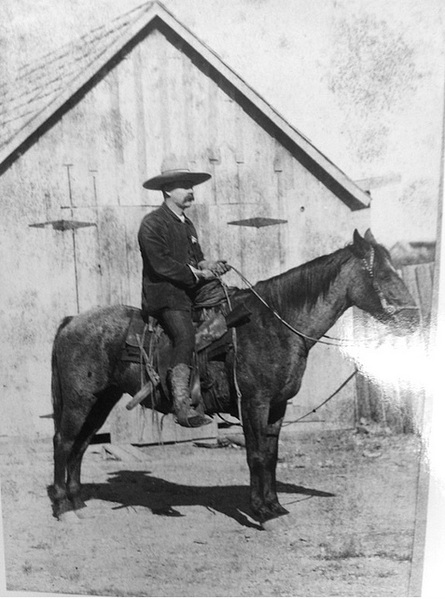 For more true tales about the characters and events of the fascinating American West visit Tom's StoryTeller Blog. From an everyday greeting as people pass each other on the street, to organized community efforts, small town America often overflows with an abundance of kindness and generosity. But like anywhere else, it can be rife with contention, often hidden, often held tight just below the surface until one wrong word or action sets off a powder keg of enmity. When guns are involved, bad feelings can turn deadly in the space of a heartbeat. You don't have to follow the news closely to know there's been a lot of media coverage about racial tension. Students of history know this is nothing new. 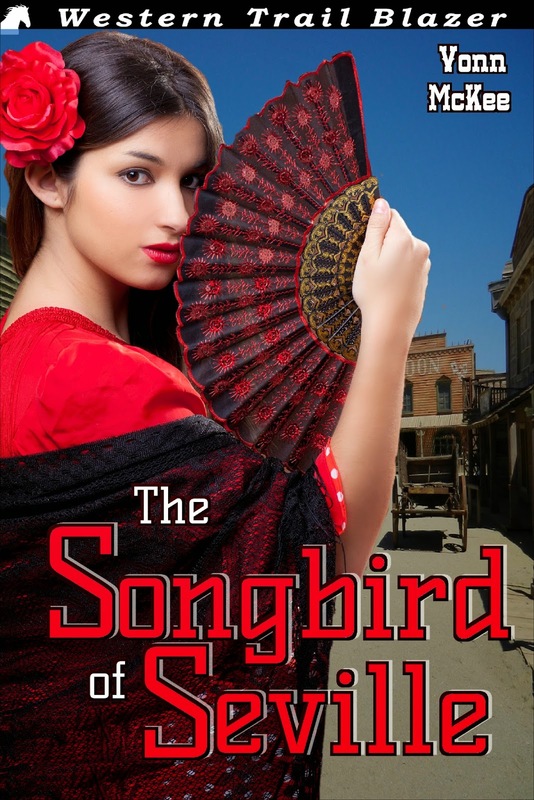 The countries of origin may change, but even in the old west, old-country grudges kept new generations at each others' throats. 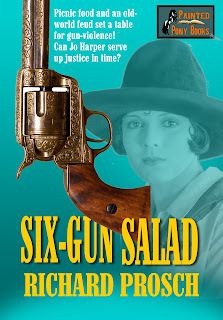 All of these thoughts came together writing my new Jo Harper story, SIX-GUN SALAD from Painted Pony Books. Community picnics, but arguments in the street. Individuals working to get along while others held to old their old cultural bias. Guns to bring destruction. Or guns to bring justice. It all got tossed together in the bowl and served up as danger for Jo, Frog and Abby, and hopefully, a reminder of the best and worst of our natures --qualities that often aren't what they might first seem to be. Working through the contradictions is important for young and old alike. Another reason I like to think of these stories as good for all ages. Would you cry over spilled potato salad? Would you risk your life for it? Jo Harper can't contain her frustration when a determined Danish lawyer and a hard-headed German farmer get ready to square off with guns over just that. 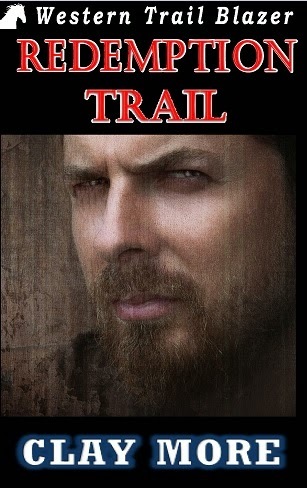 It's an Elizabethan tragedy-in-the-making unless Jo, Frog and Abby can unravel the threads of a dangerous plot that threatens to tear apart not just two families, but the entire town of Willowby, Wyoming. To his credit, Svensen listened to his wife and backed away from Schultz. But not before delivering another rotten threat. "Stay away from us, Kraut. Stay away from my family, away from my house and business. We don't need your kind." But Schultz wasn't having it. He stood up with a clumsy stagger and, brushing himself off, delivered a counter-threat. "You are all mouth and all knuckles because you are bigger than me. But how are you with a gun, counselor? Let me get my gun and we'll see who is better." 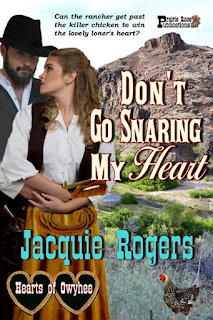 Jo thought she saw where Mr. Schultz was going, and though she was an innocent bystander, she was also Abby Drake's deputy constable. She ran between the men. "Go home, Mr. Schultz. Go home, before you say something you'll regret." "Stay out of this, Jo," said Svensen, reaching out to brush her aside. Jo sidestepped the lawyer's reach and again tried to appeal to Schultz. "Think of your family, sir. Think about Buster. You don't want to do this." 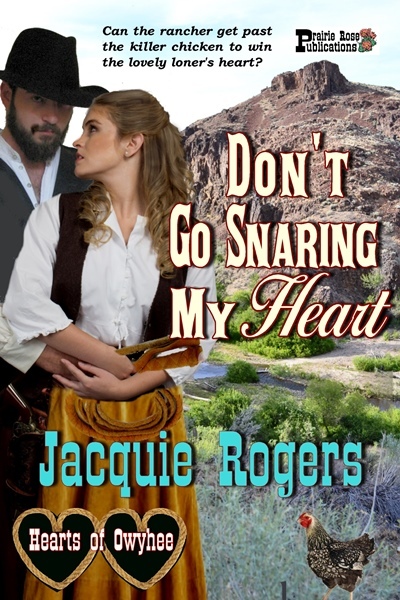 For the first time that night, Schultz seemed to see Jo, really see her, and the look in his eyes didn't belong to a bleary-headed drunk, but to a hurt man hoping to regain his pride. "I have to, Jo. Sometimes, a man has to do these things." Jo let Schultz gently push her aside. He stood tall and, in front of her and Mrs. Svensen, said, "Tuesday morning. Seven o-clock in front of the Filter Building. Find a weapon, you scurvy Dane. Find a weapon and prepare to pay the price for your insults." It wasn't going to be such a quiet week, after all. Schultz had just challenged the lawyer to a gunfight! 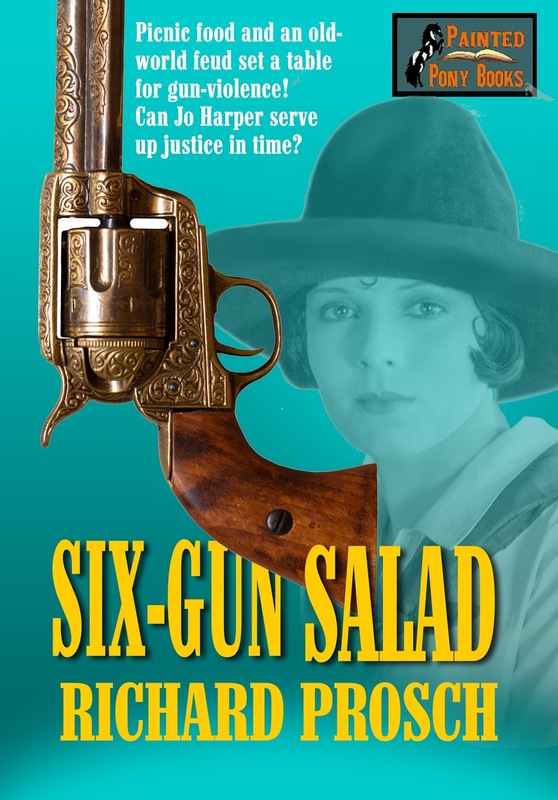 Leave a comment for a chance at a free copy of Richard Prosch's Six-Gun Salad. Meanwhile, the first book in the Jo Harper series, WAITING FOR A COMET, is free for Kindle until August 14.